What an insane month June has been. The dance showcase is on this weekend and rehearsals have hit fever pitch. Since every near-daily practice has been mentally and physically exhausting, I have had zero energy to do much else. Thank goodness I blog for fun! 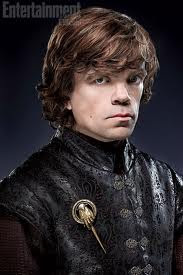 Whilst my social life has taken a backseat this month, veging out on the couch has its merits - I finally got around to the Game of Thrones - HOW IT TOOK ME SO LONG ASTOUNDS ME! I read before I watch (this goes for anything) so I was patient enough to finish off book one before viewing the first season on HBO. Unfortunately patience is a limited virtue. I am already done with season two of this AMAZING show even though I have yet to reach the halfway mark of the corresponding book. George R.R. Martin is a wonderful story-teller and with five books in the series and counting, I am secretly thrilled that I have a considerable amount of reading ahead of me. 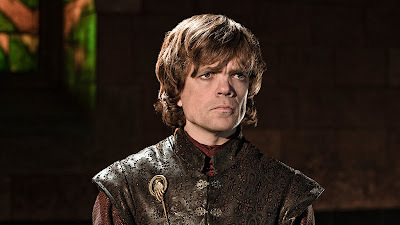 Having said that, my favourite character is Tyrion Lannister only because of Peter Dinklage and the witty script. This is probably the only time I will concede a character being better portrayed on screen than in print.